This is my first post here as I just aquired my father's 1972 Pre-L (#2725) after his death. Now on to my question. Which tire-wheel combo will keep that 4" clearance that I love so much? Welcome to the forum and to Pantera ownership. Sorry to hear about your father. Could you please clarify or post a picture of what you mean by 4" clearance? After reading the PDF article I am guessing you are talking about ride height of the car. P.S. 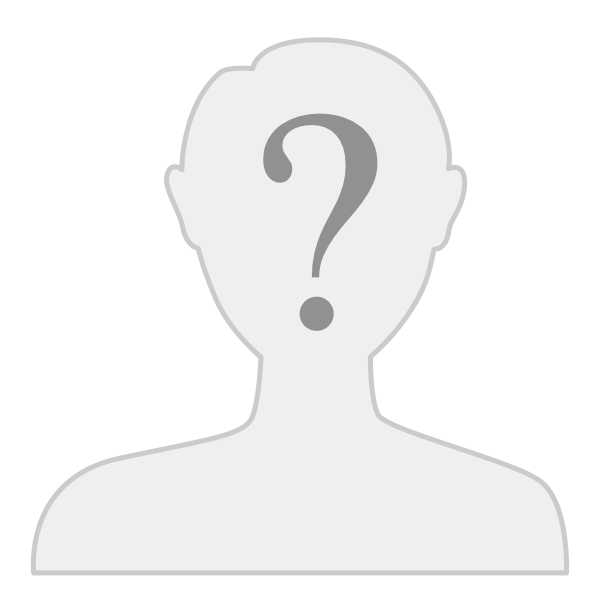 Where are you located in Wyoming? I meant ride heighth.........sorry wrote that post in a hurry! Clockwork, I'm sure others will disagree with me but I always thought the look of 225/50-15 and 285/50-15 P7's on 8" & 10" Campy's was perfect for a stock bodied Pantera and the "stance" with that combo was great. As a 225/50-15 is only 23.85" tall, finding a 17" tire with a similar diameter is pretty tough, keeping in mind that you need to find a rear tire that matches. Most owners wind up going taller on the front and shorter on the back, than the late OEM P7's. A 235/40-17 is about 24.4" tall and a 245/40-17 is about 24.7" tall. Some Vendors recommend a 225/45-17 on the front but since it's even taller than a 235/40 or 245/40, I can't imagine why. A 335/35-17 is about 26" tall and a 315/35-17 a bit shorter. My recommendation would be a 235/40-17 up front and a 335/35-17 (or 335/30-18) in the rear. You could go to a 335/30-19 (Nitto NT05 - 26.89" diameter - great dry tire) at the rear but you run the risk of not being able to buy new tires at some point in the future, because it's an unusual size. If you want to go bigger, like 18" front and 20" rear, that's fine but be careful going too tall on the front. A 235/35-18 is 24.5" tall and a 245/35-18 is 24.8" tall. If you went with one of those sizes up front, you'd likely pair it with a 325/25-20 at the rear. Keep in mind, with a good spring/shock package, the "stance" of the car no longer depends upon tire diameters. I have the stock rims and a set of 17” HRE rims for my 74 Pantera. I liked the ride height of my car with the stock rims on it, but I always thought it could have sat a little lower. When my 17” rims arrived I threw them on the car and was really disappointed at how the car looked. The rear of the car sat way too high, however, the front was fine. I pondered pulling the spacers out of my stock shocks but eventually came to the conclusion that I wanted the ability to adjust the ride height of my car to my specific liking. I ended up buying a new set of Koni’s with Hyperco springs and am glad that I did. I can’t remember what my front 17" tire size on the car is – and it is down at my shop, but the rears are 315/35/17. Thank you for your imput. I too believe that since the Pantera was designed around the 225/50-15 and 285/50-15 tires and the 8" and 10" Campy wheels that the look and stance was just right for the car. I do like your suggestoin for the 17" rims w/235/40-17s and 335/35-17s and it seems that several vendors offer this combo. It's too bad that 15" tires are so difficult to find in the sizes that we need. Thanks again! Garvino-I was afraid that the 17s would push the rear upwards as you suggested. My car has had the spacers knocked out of the stock shocks long ago and I really like the handling and stance w/them gone. I guess unless I want to scour the earth and spend ungodly amounts of money to purchase some 15" tires again, I'll have to make due with what's available to us! BTW where in Wyoming are you from? I'm up in Cody. I am in Casper. I have family in Powell and are in your neck of the woods quite often. Awesome! Maybe this summer after I get things squared away you could drop by and check out my car on one of your Powell trips. Glad to find someone else in Wyoming w/a Pantera! That would be great. If I get all my little projects finished up on my car this winter I may drive it to Powell for one of my trips. Either way it would be cool to swing in and see yours. I have another buddy in Casper that has a yellow Pantera. I guess there is also one located in Jackson. Besides that they seem to be a little rare in our state. Welcome aboard. Sympathy for the loss of your father. Like any car the Pantera's front and rear wheel wells will only look “GOOD” with front and rear tires that are within a small range of diameters. One very unusual aspect of the Pantera is that the front fender openings were deigned for tires approximately 2 inches smaller in diameter than the Pantera's rear tires. A front tire 25 inches in diameter fills the front fender opening quite fully, whereas a front tire smaller than 24 inches in diameter begins to look proportionally too small for the fender opening. Therefore front tire diameter should remain within the range of 24” to 25”. A rear tire 27 inches in diameter fills the rear fender opening quite fully, whereas a rear tire smaller than 26 inches in diameter begins to look proportionally too small for the rear fender opening. Therefore rear tire diameter should remain within the range of 26” to 27”. In terms of appearance the tire set should use front and rear tires with diameters that fill the front and rear fender openings the same amount, i.e. the difference in the diameter of the front and rear tires (the "Δ") should be about 2 inches. Setting-up the chassis around a tire set like this will also result in the chassis geometry being set-up as it was designed. This difference in tire diameter (the Δ) is the most basic aspect to get right in terms of appearance AND chassis set-up, which is why I've mentioned it first thing, right up front. You'd be surprised how often this has been gotten wrong. Using tires on the small end of acceptable diameters (24" front, 26" rear) will only lower the car 1/2 inch compared to tires that are on the large end of acceptable diameters (25" front and 27" rear). Small diameter tires don't lower the car tremendously. A lowered ride height is more a function of chassis set-up. North American Panteras were equipped with spacers between the springs and shocks to raise their ride height about 1". The spacers were omitted from the European models. In other words, the European "standard body" Panteras sit 1" lower to the ground than their North American cousins. If a reader's US Pantera still has those spacers installed, then the first step towards achieving a lower "stance" is to remove the spacers. Lowering the Pantera improves appearance AND handling. ... with a good spring/shock package, the "stance" of the car no longer depends upon tire diameters. ... came to the conclusion that I wanted the ability to adjust the ride height of my car to my specific liking. I ended up buying a new set of Koni’s with Hyperco springs and am glad that I did. The compliance of modern gas shocks complements the shorter/stiffer sidewalls of lower profile tires more so than the OEM shocks. Therefore everyone should consider installation of modern gas shocks a pre-requisite for the installation low-profile tires, regardless of wether or not they plan to change their Pantera's ride height. Whereas many automobiles are “lowered” by their owners to improve handling, the Pantera was originally designed to be about as “low as you can go” right off the showroom floor (before Ford raised the Pantera's ride height by 1 inch). If you set-up your Pantera to ride as it was originally intended by its famous designer (Gian Paolo Dallara), I don't think you'll be disappointed. In preparation the fuel tank should be half full with fuel, the driver & passenger should be sitting in the seats, and the tires should be filled to the appropriate air pressure. If the shocks have pre-load adjustment (its optional with the steel body Koni shocks) the chassis needs to be leveled; i.e. the frame rails that run below the doors should be equal distant to the ground front to back, and side to side. The minimum ride height sets the rear lower control arms level with the ground. 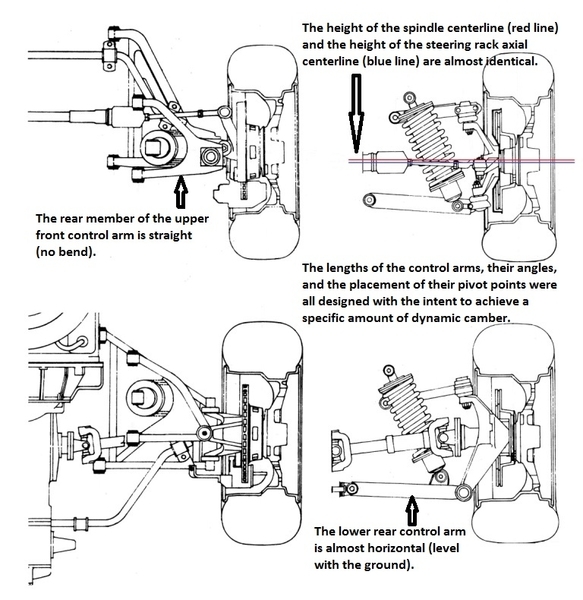 To achieve that ride height adjust the rear springs first, then level the chassis by adjusting the front springs. At this point the car is about as low as its going to get. My Pantera is set-up this way, and a racing style floor jack barely fits under the jacking points. The car bottoms out on large high speed bumps and dips, and the middle of the car scrapes certain driveways and speed bumps. I personally wouldn't want the ride height of my Pantera to be any lower than this. My Pantera has spring rates of 450 lbs front and 550 lbs rear. If the springs were softer it would bottom out more often. If your Pantera is equipped with a front/rear tire combination in which the front tires are 24 to 25 inches diameter, the rear tires are 26 to 27 inches diameter, and the rear tires are about 2 inches greater in diameter than the front tires, then after adjusting the front and rear ride height in this manner the tires should be centered in the fender openings, and the gaps between the tires and fender openings should be fairly equal front to rear. This provides best appearance and best chassis set-up. These are what I call "small diameter" tire sets, on par with the Pirelli P7 that were installed on the narrow bodies beginning 1977 (225/50VR15 and 285/50VR15). Some vendors choose to use 225/45R17 front tires which are 24.97 inches diameter. That is not a "small diameter" front tire, and tires in that size are not good front tires to complement the usual rear tires due to the resulting difference in front to rear diameters (i.e. the Δ). Unfortunately according to The Tire Rack (2019) there are no "sets" available using the same make and model of tire for the front and rear. This is a dismal situation. Installing the ultra-wide 17 inch rear tire requires a compromise in wheel width and offset, but the 18 inch rear tire does not; therefore the 18 inch rear tire may be a better choice. Availability of both of the 17 inch rear tires seems to be off and on as well. You can purchase wheels sized for tire sets that will improve the tire availability situation. 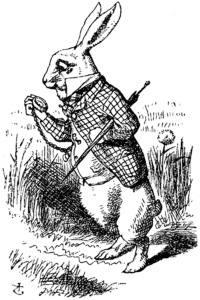 Would you care to take a brief excursion down the rabbit hole with me? The 335/35ZR17 rear tire has been around since 1990, the 335/30ZR18 tire has been around since 1995. The tire sets listed above AREN"T REALLY MODERN. Appearance is always high on everyone's criteria when it comes to upgrading tires and/or wheels. But another possible criteria for selecting tires or wheels is the availability of front/rear tire sets. Acquiring tires in sizes which aren't supported by the tire industry can be frustrating and expensive. Life is frustrating enough without spending a lot of money on a wheel set which adds to life's frustration. Spending a sizeable amount of money on something that adds to life's frustration is tantamount to shooting yourself in the foot. • Because they are frustrated with the availability of 15", 16", or 17" tires. They need wheels designed for tire sets in sizes that are available from several tire manufacturers now and shall continue to be available into the future. • Because they want to modernize the appearance of their Pantera. • Because they want to improve the performance of their Pantera, which includes equipping it with the best performing modern tires they can afford. If you're going to spend a substantial amount of money on a new set of wheels, it makes sense to purchase the wheels for a tire set that shall be available for the next 15 to 20 years, and for which more than one make and model of tire is available. I don't need to tell you that the auto industry is currently installing 18", 19", and 20" wheels on new high performance production automobiles. Aspect ratios are 40 on the tall side, 35 and 30 predominantly, and even as low as 25 on the short side. A 4 inch sidewall is a tall one in today's world; even SUVs have 4" sidewalls. In some cases sidewall height has dropped a bit below 3 inches. Based upon the availability of "tire sets" a new set of wheels TODAY (2012 2019) should incorporate 17" or 18" front tires and 18" or 19" rear tires. The choices in 18" rear tires for the Pantera are not bountiful. But they are better than the choices in 15", 16" and 17" tires. Tire Width ... How Wide Is Wide? 245mm is the widest front tire that "can" be installed without rubbing issues (if excessive offset is avoided). A tire in that width is therefore capable of offering the best performance in terms of response to driver input, cornering grip, and braking. The 245/40R17 and 245/35R18 are the proper diameters for the front of the Pantera. The only drawback I am aware of in comparison to a narrower tire shall be increased steering effort during parking maneuvers. I don't purchase tires based on their parking lot performance. 335mm is usually acknowledged as the widest rear tire that can be installed without rubbing issues. Some claim a 345mm wide rear tire will fit, but I've never seen the details of such an installation presented (rubbing, offset, ride height, etc.). I would welcome someone posting the details. It is not my intention to be argumentative or misleading, but 335mm seems to be a safe (if moderate) recommendation. Campy clone wheels or other aftermarket wheels (such as Kinesis) designed for ultra-wide rear tires are a common choice with many Pantera owners. It appeals to the folks who want to personalize or customize their cars. Ultra-wide rear tires add super car "presence" to a Pantera. The use of ultra-wide rear tires is entrenched and accepted within the Pantera hobby. If this is your choice and your dream it is certainly a valid one. If I were in the market for another tire set utilizing ultra-wide rear tires I would select rear tires in the size of 325/30ZR19. Tires in that size are the correct diameter for the rear of a narrow body Pantera (26.68 inches). Plus The Tire Rack currently lists 20 choices in makes and models of tires in that size. 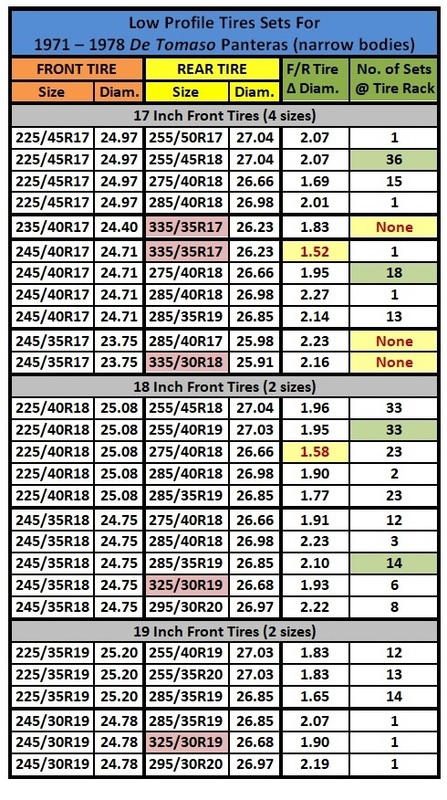 Combined with a front tire sized 245/40ZR17 or 245/35ZR18 The Tire Rack currently shows 5 sets of street tires available in either of those tire sets (as of 2019). This rear tire has been the "sweet spot" for tire sets with ultra-wide rear tires for over a decade. Some folks don't like to stagger their wheel diameters, so combining the 325/30ZR19 with a 19 inch front tire (245/30ZR19) there is one tire set at The Tire Rack, composed of Michelin Pilot Sport PS4 tires. 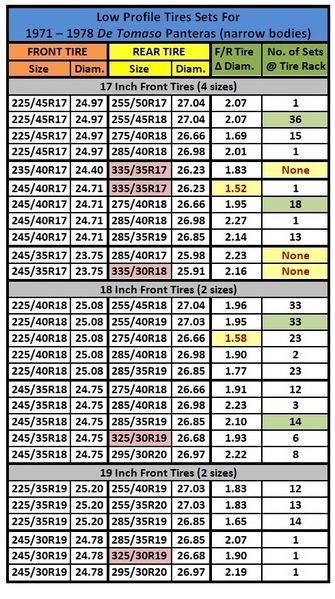 That is still one tire set more than what is available for 335/35ZR17 or 335/30ZR18; and tire set availability will probably improve as time goes on. I'm not aware of another ultra-wide tire represented as well as this one. A narrower rear tire (i.e. a tire in the range of 275mm to 295mm) may be more appropriate (more practical) for some applications. If you think about it, its kinda odd referring to a tire that is over 10 inches wide (275mm = 10.8 inches) as a "narrow tire". They really aren't narrow, they just aren't as wide as the "ultra-wide" tires. The narrower tires will allow the rear tires to be recessed within the wheel house to match the recess of the front tires whereas the ultra-wide tires must be mounted flush. That discrepancy bugged me with the last two sets of tires on my Pantera. The last Pantera (i.e. the Pantera Si) was introduced in 1990 equipped with 235mm front tires and 335mm rear tires on 17 inch wheels, that choice in tires was no doubt influenced by the introduction of the 335/35ZR17 tire in 1990. But De Tomaso's last sports car, the Guara, was introduced 3 years later (1993) equipped with 245mm front tires and 285mm rear tires on 18 inch wheels. This was a cutting edge tire set when the Guara was introduced in 1993, it has become a very common tire set for sports car since then. As an example, the German engineered 2017 Audi R8 is propelled by a naturally aspirated 5.2 liter V10 engine rated at 540 BHP and 398 ft./lbs. torque. Its curb weight is 3649 pounds; that weight is distributed 42% on the front tires and 58% on the rear tires. It accelerates from a standstill to 60 MPH in 3.5 seconds. It circles the skid pad at 1.00 G; and it stops from 70 MPH in 153 feet. It is equipped with 245/35R19 front tires and 295/35R19 rear tires as standard equipment. I am confident that a tire complement similar to this is well suited for most Panteras. These two internet sites help in judging the availability of tires, they both allow you to perform a search based on tire size. One very beneficial feature offered by both web sites, they allow you to search by size for "sets" of tires wherein the front tires and rear tires are a different size. The web site linked below lists the OEM applications of the various tire sizes, and the years. Obviously more applications, and/or more recent usage will indicate good prospects for future availability. Once you've selected a set of tires you have to acquire a set of wheels to mount them on. Unlike the average car in which all 4 tires are the same size, and all 4 wheels are identical (same width and offset) the Pantera uses front and rear tires differing in width and diameter by a significant amount, and requires wheels of different widths and offsets for front and rear. In the past, when tire sidewalls were "taller", the width of sports car wheels was usually 50% of the tire’s rim width range, or at least as wide as the tire's tread. If a wheel with that width was not available, a wider wheel would be chosen. This helped stiffen the sidewall for better handling. However, with modern "performance" tires having such "short" sidewall height, the "need" to do this is a moot point ... the sidewalls are plenty stiff already. (1) It protects the wheel from damage in pot-holes. (2) It helps in protecting the wheels from curb rash. (3) It "squares-up" the tire sidewalls for best appearance. Since wheel width affects the tires appearance, the front/rear wheel widths should "square-up" the sidewalls of the front/rear tires a similar amount for balanced front/rear appearance in this regard. The trend in aftermarket wheels for the Pantera has been to set the front tires too far inwardly (excess offset) and the rear tires too far outwardly (insufficient offset). The result is an imbalance in the appearance of the car. I advocate setting front and rear offset to set the edges of the tires' outer sidewalls inwardly from the front and rear fender edges an equal amount for balanced front/rear appearance. I recommend recessing both front and rear tires inwardly by 20mm. UNLESS of course the car shall have ultra-wide tires in the rear, in that case set the rear wheels flush with the fenders edge. • 245mm cross-section front tires and 335mm cross-section rear tires are the limits in tire width in terms of avoiding rubbing issues in a narrow body Pantera. • Offset at the front or rear making the outer sidewall of the tires flush with the fenders’ edges MAY result in rubbing at the fender opening flanges, and MAY make it necessary to “roll” them. Rubbing is also impacted by tire diameter, ride height, and camber settings ... tires larger in diameter are more likely to rub than tires smaller in diameter. • Front tires with 245mm cross-section mounted on wheels with 22mm offset MAY rub the wiper motor’s protective housing in the right wheel house at full lock, and MAY rub the inner wheel house at full-lock as well; in general 22mm front wheel offset has worked well in avoiding any rubbing issues. If rubbing occurs it shall be minor and only occur in low speed parking maneuvers; it shall not be a significant problem. • On rare occasions front tires greater than 25.0 inches diameter have rubbed the lower front corner of the fender openings, this is because the front tires are not centered within the fender openings, they are positioned forward of center. 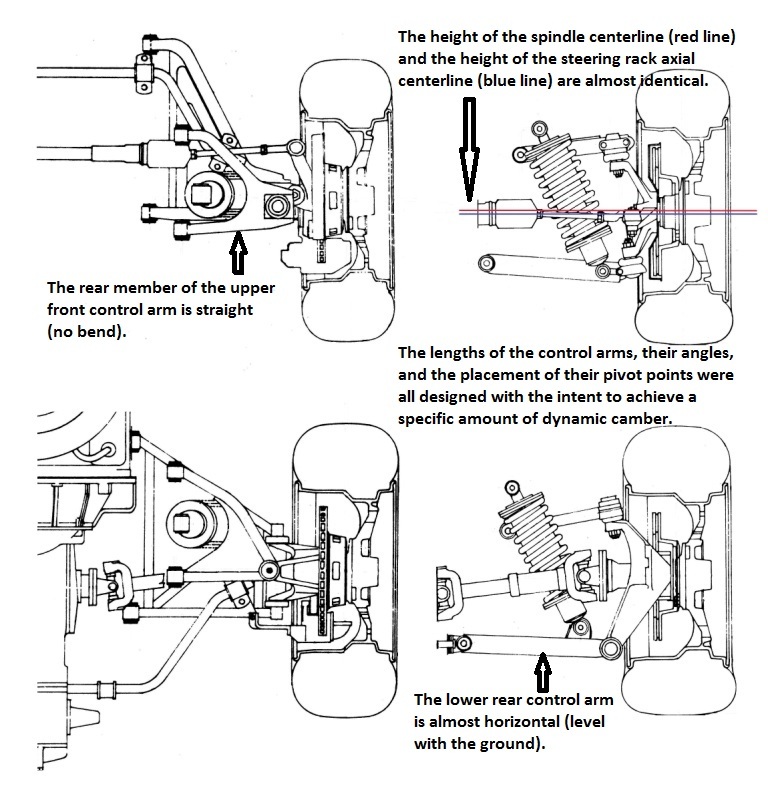 This situation is the result of Ford’s decision in 1971 to reduce caster in order to promote “understeer”. This can be reversed by moving the upper ball joints 5/8 inch (15mm) rearward via modification of the upper front control arms. This revision centers the front tires within the fender openings thus improving appearance and eliminating rubbing in the lower front corners of the fender openings (if rubbing is a problem). It also restores the Pantera’s originally intended 6° of caster which improves directional stability and reduces understeer. Debbie and I recommend this "reversal of Ford tampering" for every Pantera. • Rear tires greater than 26.5 inches diameter and wider than 285mm MAY rub the OEM Ansa mufflers, and MAY require modification of the mufflers to create clearance. • New shock absorbers have more travel built into them than the OEM shocks. Rear tires often rub the upper portion of the wheel houses over large bumps due to the additional travel built into the new shocks. This rubbing is resolved as it was with the OEM shocks, by limiting shock travel ... not by altering offset. Shock travel is easily limited via installation of a second set of "stop rubbers" on the shock absorber shafts. • Rear wheels that are 15", 16", or 17" diameter are limited to 6-1/2" "calculated" back-space (or an actually measured back-space of 6-1/4"). A wheel in those diameters shall rub the lower rear control arms at 6-3/8" actual back-space. This normally limits rear wheels in those diameters to 11" width and 12mm offset. This impacts wheels designed for 335/35R17 tires. Wheels larger than 17" diameter have enough clearance to avoid rubbing the lower rear control arms; this limitation doesn't apply to them. (1) Custom manufactured Campy clone wheels, which can be ordered in larger diameters, are available from American Republic Wheels (Boyd Coddington USA web address). The "Campi" wheels are among their "Elite Series" of wheels. The centers of these wheels have 3 dimensional "depth" like the OEM Campy wheels, more so than other Campy clone wheels. For instance the frames around the "windows" tilt outwards at an angle whereas other Campy clones are flat as a pancake. To machine the wheel at multi-angles like that requires more time on the CNC machine, and makes the wheel more expensive. These wheels are gorgeous, and a good option for Pantera owners. Boyd Coddington once manufactured the wheels for Pantera East, the Pantera East wheels had several features which made them closer in appearance and function to the OEM Campy wheels than other Campy clones on the market. Boyd Coddington is under new ownership, it has been owned by American Republic Wheels since 2010. Please be forewarned their standard "Campi wheel" spec is a rather generic style wheel spec. It lacks the features listed above that were found in the wheels formerly produced for Pantera East. It is not marketed as a "Pantera wheel", it is intended for owners of classic American hot rods and muscle cars who like the Campi look. If you want a wheel that is more Pantera-specific or similar to the Pantera East wheel, be sure to start the exchange by explaining the wheels are for a Pantera AND you want wheels machined and assembled to the former Pantera East specification, except in terms of diameter, width, and offset. Be specific with what you're looking for. They have a CNC program for the Pantera East wheel, owners have been able to have wheels produced to that spec. Please be forewarned doing business with American Republic Wheels has been an exercise in frustration and disappointment for some folks. If you do business with them, please share with us your experiences. (2) Roin Technology of Italy (represented in the US by one of our forum supporters, Mr. Fiat) manufactures authentic looking Campy replica wheels in 15" and 17" diameters, and they are in the process of making them available in 18" diameter too. The wheels are CNC machined from solid blocks of billet aluminum. Being manufactured from billet aluminum instead of cast magnesium is a huge benefit. Monoblock wheels like this are the cream of the crop … the best wheels you can buy. There are currently 18 tire sets listed at the Tire Rack for tires in these sizes. But keep in mind this tire set does not alleviate the availability problem that exists for tires in those sizes. Purchase "off-the-shelf" one piece cast wheels from Enkei or TSW. These wheels are high quality, manufactured in either Japan (Enkei) or Europe (TSW); they are also lightweight, and strong. They are available inexpensively on eBay and Amazon. Adjust the offset using hub and wheel-centric spacers. Custom billet aluminum spacers up to 30mm thick are available from several companies, including Motorsport Tech. Even factoring-in the price of studs and spacers (about $800 USD) the overall price of a wheel package such as this is still substantially below other options. If nothing else perhaps I've given some folks food for thought. But I also liked the 15" on my previous Pantera. Hell, I like Panteras! George, I must disagree with a couple of items mentioned in your most recent posting, with regard to tire sizes. Re: 245 width tires on the front. Very few Pantera owners would ever benefit from the extra traction gained by going to a 245 over a 235. The improved appearance of the shorter tire, combined with reduced rubbing and reduced unsprung weight, make it the better choice. 235/40-17 is an OEM size so tires will always be available. Furthermore, many modern high performance sports cars use this width of tire up front (Porsche 997, Ferrari, Lamborghini, McLaren F1, etc.). Of course, when moving up to 18", you have less selection of 235/35-18's than 245's but they are readily available. Re: 275 or 285 width tires on the rear. Back when we were all running 15" wheels, these were fine and a 285 width P7 was a much better tire than a 295 or 305 width BFG Radial T/A (or other similar domestic tire); however, now that we're all switching to 17", 18", 19" or even 20" rear wheels, there's no reason to use anything less than a 305 width tire. Even most '05-'12 Porsche 997's come with 305/30-19's (on 19" x 11" wheels) on the rear and that car certainly doesn't have to deal with the kind of torque that a Pantera puts to its rear wheels. There's also the safety factor to consider. It's simple physics, with mid-engined cars, the heavy end always wants to lead. Manufacturers put wider tires out back to compensate for the greater weight and load on the rear tires but there's another reason as well. If you are in a cornering situation where the rear of the car steps out, for whatever reason, a wider tire will scrub off speed more quickly than a narrower tire, allowing quicker recovery from the spin or slide. Wider rear tires simply make the "tail heavy" Pantera more forgiving and give the driver a larger margin of error. Considering the power we all put to our rear wheels and the clearance available in our rear wheel wells, it makes sense to use a 305, 315, 325 or 335 width tire at the rear. Looks cool too! OK; I admit it: that's the best reason of all! Here's another little known fact about tires: in general, a tire with a taller sidewall has a more gradual break-away than a tire with a shorter sidewall. That's the reason Gordon Murray specified a 28" tall rear tire (315/45-17) for the McLaren F1. A tall tire will squeal loudly as it approaches its limit of adhesion and will loose grip gradually, as opposed to a super low profile tire that tends to give no warning then break away suddenly. George, I don't enjoy voicing an opinion contrary to yours on this, or any other topic and I'm not trying to imply that your opinion isn't valid, but I felt it was necessary to show another side to this subject. Thank you guys again for your iput-it really helps me alot! I've been out of the pantera game for quite some time and your opionions help me greatly! Mikael those 17"s look really nice-our cars look almost identical except for your blacked-out door levers, the wheels, and your paint job. My 72's was painted poorly by the previous owner, in a Porsche red similar to the color of yours. ATM my '72 has a 20' paint job! Hopefully in the next couple of years I can get it painted. David, you are more than welcome to disagree with me. The respect you expressed is appreciated. But don't apologize for having a differing opinion. I appreciate and value your opinions, experience and the knowledge you've gained along the path of De Tomaso ownership. I'm sure other members do as well. As members of a community we all learn from each other, and we all disagree from time to time. Funny you mention the door levers, I've been looking for reasonably priced shiny replacements since I got the car, they would go better with the shiny trim. 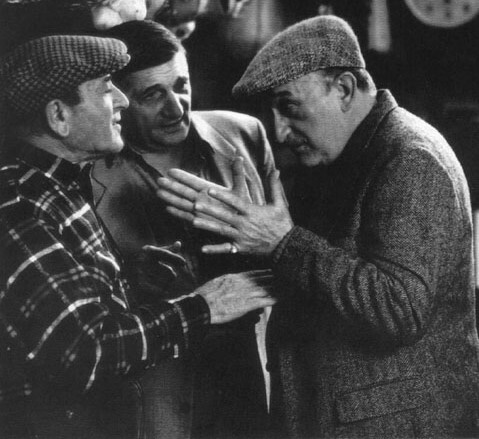 George, I should mention that before I grew-up and got a real career, I spent a few years of my life in the "high end" wheel and tire business, so I consider my opinion to be an educated and experienced one. Accordingly, the biggest mistake most people make is going too big. I'm not referring specifically to Pantera owners but car owners in general. One point you made is extremely important when selecting tires and it applies to every make and size. That is, tire width specifications should be taken with a grain of salt. One manufacturer's 335 width tire could be +/- an inch different in width when comparing it to another manufacturer's 335. Sidewall design and stiffness, combined with differences in tread width, all contribute to these differences which the specifications don't necessarily reveal. I have Hoosier Autocross tires on my Pantera and they're so wide I can't imagine how Hoosier had the nerve to publish such inaccurate specs for these tires. As far as the all-season radial matter is concerned, it's still my opinion they are totally unsuitable for use on a Pantera. They simply do nothing well, except be quiet and last forever. There are some summer tires that work quite well in the cold, such as the outstanding Michelin Pilot Sport PS2. I know this from personal experience as I live in the Pacific Northwest and have a set on my daily driver. As long as it's not snowing, they work great, even in sub-zero temperatures.
" no single tire type excels on all surfaces, and the differences between each are sometimes striking. These differences are so massive, in fact, that we feel that certain generalizations can be extrapolated from our small trio of carefully selected test tires. To the surprise of exactly no one, our winter tires dominate in snow and the summer tires dominate in the dry. The eye-opener here relates to wet performance, where a well-developed summer tire embarrasses an all-season tire made for the same car by the same folks. Anyone who never sees or visits snow would be very well served by summer tires for year-round use". They went on to say "in delivering this capability (part-time snow tire), all-season tires sacrifice a noticeable bit of dry and wet performance. Meanwhile, snow and summer tires provide clear benefits to those who can use them. In this particular test, at least, all-season tires live up to the old figure of speech our old dad used to trot out on occasion: "jack of all trades, master of none". Interesting posts guys. Finding it very informative. However if I can ask without stirring a hornets nest ; What tire size/type recomendations do you make for the wider bodied GT5S? I'm needing new rubber soon, and possibly new wheels. Would appreciate your advice. Currently I have 335/r1740 and 245/40r17. The 245's seem a bit narrow up front (sit well in from the wheel guard - 1.75")and was thinking of going wider. Are your offset recommendations for cars with the stock brakes. My car has a Wilwood style setup with the rotor hats on the outside of the hubs, so I'm not sure I need to add the 1/4" or not. Lui, without changing wheels, I think your only option would be to use a 255/40-17 in the front. You can go wider, but they get too tall, IMO. I'm not aware of anything that's available in a 35 series, until you get up to 295/35-17, which would require at least a 10" wide rim. If it's mainly appearance you're concerned with, and you don't want to buy new wheels, the only option I can think of is using spacers. It's not an ideal solution but it can work safely if done properly. Before people get upset with this suggestion, keep in mind the factory fitted spacers on GT5's and Porsche has been doing it since the '70's. The correct way to do it is to make sure the spacer is tightly hubcentric and also make sure you're using the strongest wheel studs possible, with adequate length. This likely means having custom spacers made and be as conservative as possible in deciding on a thickness. Mistersolo, yes, if your brake rotors are mounted on the outside of the hubs, you need to add the thickness of the rotor hat to your backspacing or offset calculations. Also, the Pantera's wheel registers (hubs) are slightly tapered, so if you mount your rotors on the outside of the hubs, the diameter of the wheel's center bore must be slightly smaller, in order to maintain proper hubcentricity. 1. Wide rear tires (the 325's or 335's) and standard 225, 235, or even 245 front tires. The combination seems to be well liked and is offered by many of the vendors. However, it probably doesn't "balance" the narrow-bodied, mostly stock-suspensioned car for the track and is really meant for the street. If you had a wider front tire with a wide-body or flared car, then that's different. If you have significant modifications to the suspension to bring it into modern theory and design, then that's different as well. 2. Reasonably wide rear tires with the standard 225, 235, or 245 front tires. We're talking the size George mentioned, and maybe up to 305 tires. Jack (Bosswrench) and others will probably agree that this combination seems to be the better choice for the track for the Pantera. However, street use will be great and the car was never meant to be a drag racer in my opinion. You can't compare a 40-year-old car to newer car technology, so saying that a certain modern supercar uses a certain combination, well, fine, but that might not be relevant to the Pantera with a stock narrow body and mostly stock suspension. Seems to be kind of a paradox- if you want better track performance in a stock narrow-bodied car, don't put the widest things you can find on the rear and throw the balance off. If you want to impress and don't mind the reduction in handling, then go with the wider rear tires. I agree with the wisdom to find a popular tire size since it's less likely to be removed from production. I think the choice in rim size is important, too. Too much of a good thing can be bad. I also agree/think for the Pantera that won't be driven much in the rain or snow, the summer tires are probably the wise choice. What tire size/type recomendations do you make for the wider bodied GT5S? Lui we can't make a tire recommendation without knowing the width of the wheels. The width of your Pantera's wheels is going to limit the tire sizes that can be mounted on them. In regards to modern low profile tires, a tire should be mounted on a wheel that's a bit narrower than the tread. This squares up the sidewalls. The OEM tires of a narrow body Pantera have 1-3/4" different diameters front to back, this is reflected in the radius of the wheel wells, and this is why staggering the wheel diameters compliments the appearance of narrow body cars. The OEM tires of a GT4, GT5 or GT5-S were about 24" OD in the front, 24.5" OD in the rear. There is very little stagger in diameter, and this is also reflected in the radius of the wheel wells. Staggering wheel diameter doesn't make sense with the wide body Panteras. The problem with the wide bodies is finding modern low profile tires that are approximately the oem cross section (285 front, 345 rear) but only 24" to 24.5" in diameter. Most guys usually settle for using a larger diameter tire. If your 17" wheels are true wide body replacements they should be 13" wide rear and 10" wide front. The 335/35-17 tire is good for the rear and typically on the front guys are using a 275/40-17. The challenge can be in finding the same tread pattern for both in a single manufacturer. Here in the US Michelin Pilot Sport PS2 and Kumho Ecsta XS are both available for front & rear and equally priced. The rear Michelin's have come way down in price, they used to be over $400 ea now selling for $226 at Tirerack. This is why I come to this site for information: reasonable, intelligent, informed, insightful and respectful dialogs on topics I'm interested in learning about. 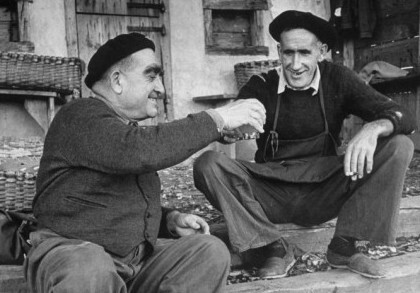 No flaming, no grandstanding, just good conversation and ideas. Thanks guys! Someone along the lines changed the stock campys to Enkies (look very close to centerline rims). The Enkies are 14" front and 15" rears running 205 60 front and 275 50 rears. They are long past their retirement..... So I am thinking of getting new rims and tires for my 74L narrow body (#6347). Stock shocks, exhaust and no rolled front quarters. Looking at the TSW Valencia or Carthage wheel with a Ford Mustang 5x114 bolt pattern. 17 x 8 in the front and 18 x 9.5 in the rear. Both have a 20mm offset which equates to a backspace of 5.25" in the front and 6.0" in the rears. Tires would be 245 45 17 fronts and 285 35 (or 40) 18 rears. Will this fit?? Should I go 35 or 40 height in the rears??? I think you need to re-visit your wheel and tire choices. The front wheel you're looking at will work fine but a little bit more offset would be better (22mm is perfect). On the rear, 20mm is too much offset. For a 9.5" wheel, I think you need about zero offset, for it to look right. It's very important that the wheels are hub-centric too. They need to have a 62mm center bore. As far as your tire choice is concerned, a 245/45-17 is too tall up front. Consider a 235/40-17 or 245/40-17. At the rear, a 285/35-18 or a 285/40-18 will work. Keep in mind, there's enough room for a 335 width tire at the rear on a stock bodied Pantera. I am a bit of newbie with this so.... a zero offset will bring the wheel closer to the edge of the fender??? or will the 20mm offset bring the wheel too far out and cause it to rub?? Yes, lower offset will bring the wheel further out and higher offset will push the wheel further in. A 9.5" wide wheel with zero offset has a 5.25" backspacing. As a point of reference, the Campi clones that many Pantera owners now use, are typically 17x8 with 22mm offset (5.375" B.S.) and 17x11 with 12mm offset (6.5" B.S.). 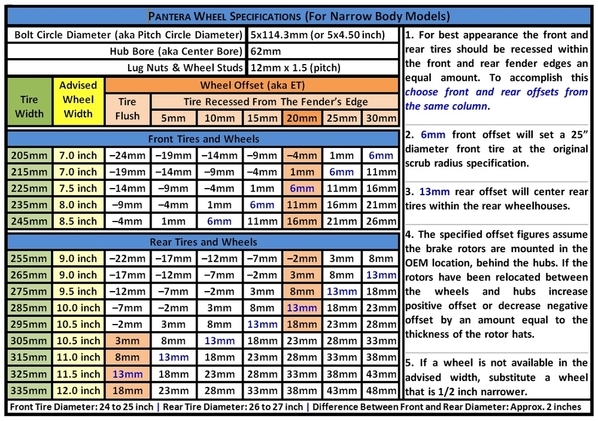 Select tires for the front of your narrow body Pantera which are 24" to 25" OD, 225 to 245 cross-section. It is a common mistake to try and set the front tires too far outward, closer to the fender lip. What happens is you'll end up with a tire that rubs the fender lip in high speed corners. 8" wide Campy clone wheels (Pantera East) are designed with 23mm offset, 9" wide Kinesis wheels are designed with 25mm offset. Select tires for the rear of your narrow body Pantera which are 26" to 27" OD. My personal preference is a tire in the range of 275mm to 295mm cross-section. The exact cross-section depends upon the tire's availability and its outside diameter. Others prefer tires in the range of 315mm to 335mm cross-section. Neither choice is wrong, each person knows what's best for them, or will learn from experience. The outside diameter of 315mm tires are an issue for me. 6018 had a set of them when I purchased it, I felt they were way too small for the fender opening. Being quite dense....the 20mm offset for a 18 x 9.5 wheel will look slightly recessed in the back. If I wanted it moved out further I can look at possible wheel spacers?? Spacers are OK if done properly. That means they must be hub-centric and the wheel studs should be upgraded to 1/2"-20 or 14mm. You won't find the appropriate spacers in anyone's inventory so they would need to be custom made. My advice is to simply buy wheels in the correct sizes, with the correct offsets. I see no problems with the 285 rear tires but I would stick with 235-40-17 fronts. Isn't 11" too wide for a 285? Check the manufacturers chart. It is going to tell you the minimum and maximum recommended wheel width, then will tell you the "design" width for that tire. It is the design width that you want to match. The size of the tire on those wheels is not out there because of the power that needs to get to the ground. It is for the look of the tire and what the owner thinks fills the wheel well "correctly". All those "turbo look" Porsches don't need the tire for power. Personally I think the car handles better with the 285 than the 335. What happens is that you really are getting inadequate loading on the bigger tire and all you do really is just spin them. The car is going to be similar to using racing tires on the street and that simply means the tires are constantly slipping in order to gain more traction, if that makes sense. On the race track you practice with your set up but on the street if you drive it hard then your tires are slipping as if they are on wet pavement and is that really what you want to do? Lots to consider with going to those wheels. It only seems simple. There was a post by George Pence back in January, 2012 (for which I made a hard copy, but cannot readily find at the moment)which stated the original Pantera diameter was about 25" front and 26.8 rear and went on to suggest 245/40/17 front and 285/40/17 rear. I have been looking in www.tirerack.com to look for matching tread patterns, wheel width specs, overall diameter (for speedometer consideration)and sidewall profiles. I remember that post. He made good points in it about the tire sizing. Found the article by George Pence. In this Chassis Forum, go to Find, type in Campi Clone, then scroll down to Campi Clone - best stance, where there is an on going discussion regarding tire sizes. Try this link. It's the last post. I strongly recommend going for the 335 rears. You may not have the fastest car but you can almost guarantee that you will have the largest rear tires at the next cruise night.